Hey THQ - how about you just write a better graphics engine? Fighter cut from UFC 2009 because of ... his hair? Hey, UFC fighters. Over here. Would you like to avoid appearing in a video game without getting fired? We have the solution for you: Stop cutting your hair. According to Fight! 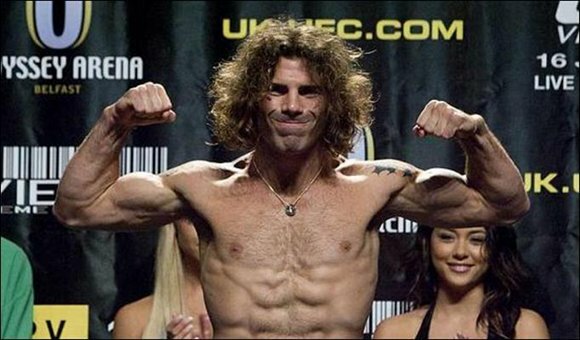 magazine (via 5thround.com), UFC fighter Clay Guida was cut from UFC 2009: Undisputed because his trademark shaggy locks were causing clipping problems and creating issues with collision detection. THQ supposedly offered Guida money to trim his hair so that he could be included in the game, an offer Guida seemingly refused. Fighter cut from UFC 2009 because of ... his hair? originally appeared on Joystiq on Thu, 28 May 2009 07:00:00 EST. Please see our terms for use of feeds.